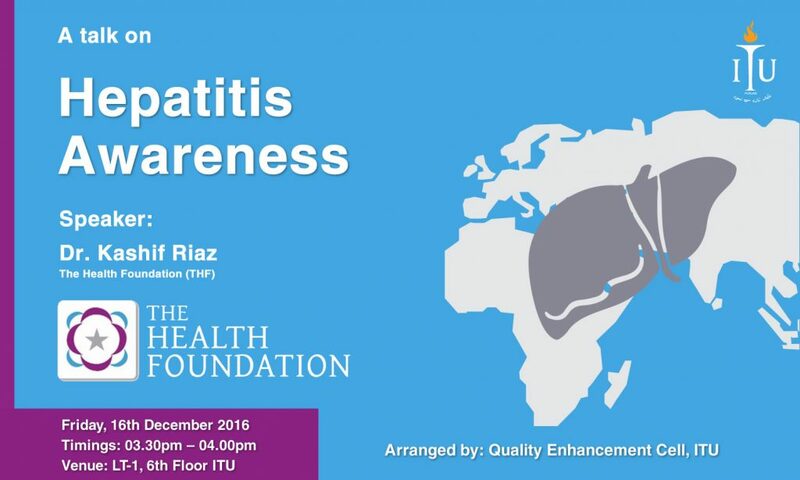 Quality Enhancement Cell (QEC) of Information Technology University (ITU) has organized a talk on “Hepatitis Awareness” on December 16, 2016 from 3.30 pm to 4.00 pm at LT-1, 6th floor, ASTP, ITU, Lahore. The speaker is Dr. Muhammad Kashif Riaz, Program Manager of The Health Foundation, Pakistan. Dr. Muhammad Kashif Riaz is a graduate of Baqai Medical University. He is the Program Manager at The Health Foundation since 2011. He is also the Master Trainer in Pakistan for Safe Sharp Waste Management Project in collaboration with World Health Organization (W.H.O). This project is being implemented in 22 high risk district in Pakistan which is a joint venture of World Health Organization (W.H.O), Pakistan Health Research Council (P.H.R.C) and Center for Disease Control (C.D.C) Atlanta. 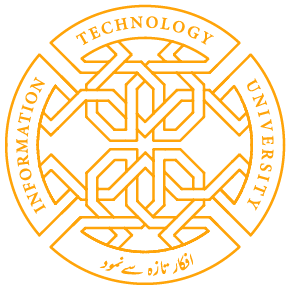 Share the post "TALK ON HEPATITIS AWARENESS AT ITU"